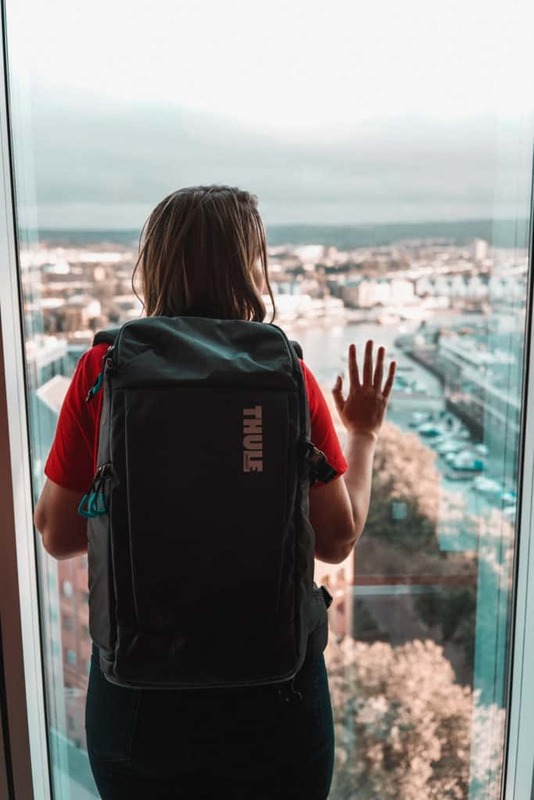 Hey guys, in this post, I wanted to tell you about a great camera backpack for bloggers and photographers – Thule Aspect. Up until I bought a new professional camera, I didn’t feel like a needed a special photo backpack (or camera bag), as my camera was small and not very expensive. I used Sony A6000 (in case you’re curious) and I didn’t have any additional lenses except for a portrait one that I wouldn’t carry with me anyway. However, a few months ago, I finally invested in a good professional or semi-professional (some would agree more with the semi-professional status) camera Sony A7 III, as well as two lenses and I, realised two things. First: I didn’t want to carry this camera in my normal pink leather backpack from Grafea and didn’t want it to get scratched. Secondly: I wanted to bring multiple lenses to trips, and I didn’t have a backpack where I could safely store both the camera and the lenses as well as my other photo equipment. If you’re interested, what camera do I use to take photos, I have two: Sony A7 III with Samyang 35 mm prime lens (super flat and tiny) and Sony A6000 In this post, however, all the photos are taken on Nikon D5100 that was replaced by Nikon D5300. When Thule reached out to me and offered to collaborate, I was really happy. I knew about the brand and also knew that their photography backpacks are great. I picked the Thule Aspect backpack, as it’s relatively compact but at the same time, fits a couple of lenses, camera, tripod, laptop and has even a small compartment for personal belongings. It’s not heavy at all and looks great as well. If you ever decide to use it like a “normal backpack”, you can take the special padding of the camera compartment out – and voila, you have way more place for your personal items, however, of course, it wouldn’t be the same as owning a “normal” travel backpack, as it wouldn’t fit as many things. 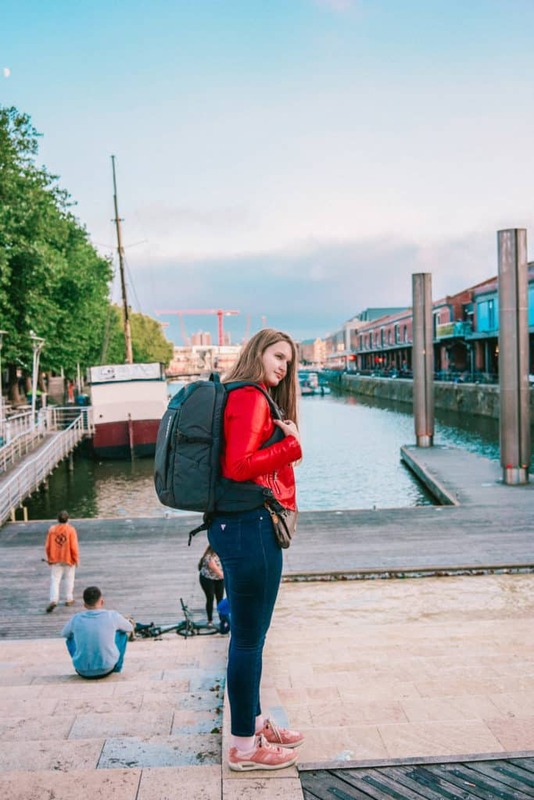 I brought my new Thule Aspect bag with me to Bristol (read more about my experience in Bristol here), and I enjoyed wearing it. I didn’t take many clothes with me as it was a blog-related weekend trip with a lot of work, but I managed to fit another outfit, cosmetic bag, a pair of shoes and, of course, my camera with me. Next time I’ll be taking it with me will be a trip to Kenya for a safari, where I will take my laptop and a couple of lenses, so it will be a proper field test. 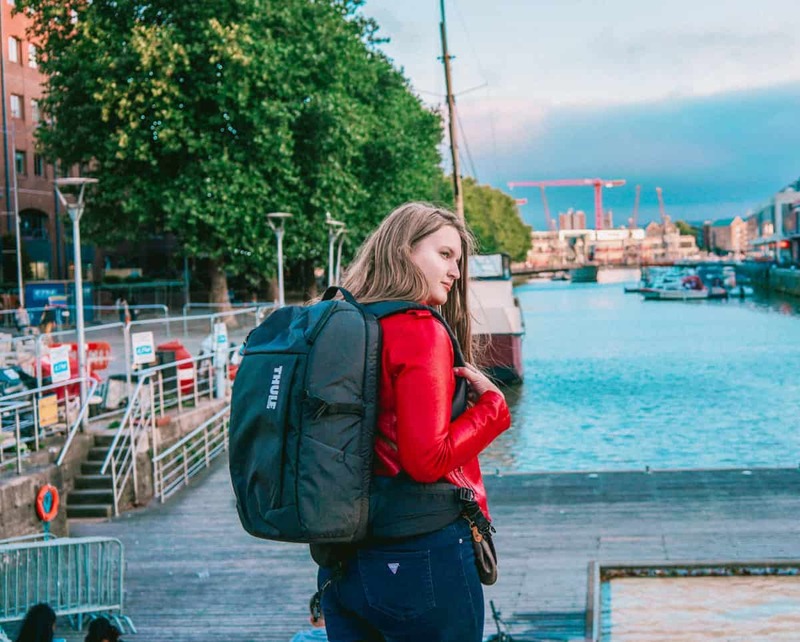 I liked the camera backpack Thule Aspect and would recommend it to anyone who carries a heavy mirrorless or DSLR camera and a couple of lenses, as it’s a perfect way to make sure that everything is in place and nothing gets damaged. Check the availability on the Thule website.